The largest and softest bike and exercise bike seat pad anywhere! Measures a full 16” wide and 12” front to back - and the foam padding inside can be cut with scissors to the size and shape of your seat! 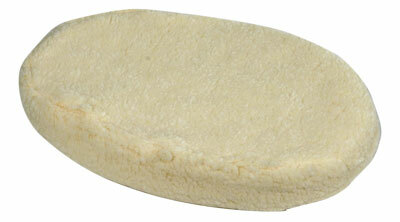 Extra thick foam padding, much thicker and more durable compared to the competition! Customers say it's even more comfortable than our gel pad! Please note that exercise bike manufactures do not use a standardized mounting hardware. 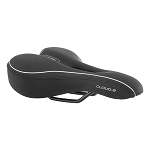 If you need a new seat to fit on your exercise bike we have them in stock, so you can use this pad or buy another seat. any new modern bike seat to your exercise bike! On line service was wonderful. The seat cover has added hours of fun for me. I am now rideing 6 to 12 miles 5 times a week. Excellent Seat Cover very soft and fluffy and looks elegant.